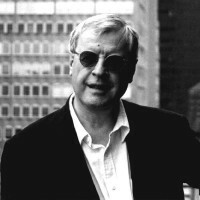 Charles Simic was born in Belgrade, Yugoslavia, on May 9th 1938, the first son of George and Helen (Matijevic) Simic. As a boy, Simic received what he quotes Jan Kott as calling “a typical East European education” – an education, that’s to say, in which “Hitler and Stalin taught us the basics.” What the basics involved is well described in the poet’s recently published memoir, A Fly in the Soup, where, amongst other things, he tells us that “[b]y the time my brother was born, and he and my mother had come home from the clinic, I was in the business of selling gunpowder. Many of us kids had stashes of ammunition, which we collected during the street fighting.” Towards the end of the war, Simic’s father fled the country, and it was to be ten years before the family would see him again. He had made his way to America, where pre-war employment by an American company (he was an engineer) had given him numerous contacts. However, his wife and children were unable to follow until 1954, the Communist authorities having denied them a passport until 1953, and the US immigration authorities having taken another year or so to process their visa application. After a year in New York, the family moved to Chicago, where Simic attended Oak Park High School, an earlier alumnus of which had been Ernest Hemingway. He graduated in 1956, but instead of going to college, like most of his peers – his parents had very little in the way of savings, but in any case seem not to have given any thought to the possibility – he found work, first as an office boy, and later as a proof-reader, at the Chicago Sun Times. It was during this period that Simic started to write poetry. His poetic enthusiasms were various – one month a disciple of Hart Crane, the next a devotee of Walt Whitman – yet this was no mere dalliance: “I’d work at it all night, go to work half-asleep, and then drag myself to night classes.” In 1958, Simic left Chicago and went back to New York. There he continued to work by day – as parcel-packer, shirt salesman, house painter, book-seller, payroll clerk – and to study by night. He also continued to write, and after a year or more saw his first poems in print, in the Winter 1959 issue of the Chicago Review. Drafted into the army in 1961, Simic spent most of his two years’ service in Germany and France, working as a military policeman. From a literary historian’s point of view, probably the most noteworthy thing about Simic’s time in the army is that it led him to a radical reappraisal of the sort of poetry he’d been writing. Indeed, so radical was the reappraisal that he ended up destroying everything he’d written, later describing it as “no more than literary vomit”. After discharge from the army, Simic returned to the life he’d been leading in New York. In 1964, he married Helen Dubin, a fashion designer, and in 1967 he obtained his BA from New York University. A year later his first collection of poems was released by the San Francisco publisher, Kayak. 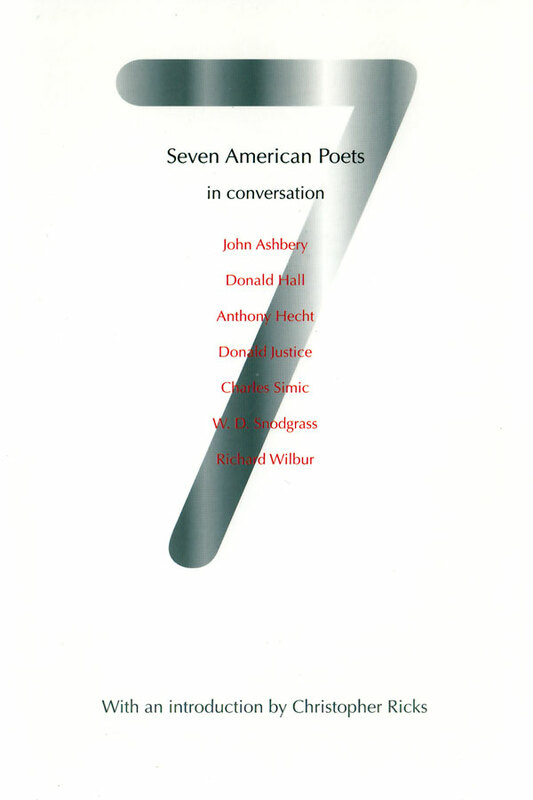 The book was reviewed at some length by William Matthews, who, although he had plenty of criticisms to make, recognized the young poet’s potential: “I found What the Grass Says exciting … What I like in Simic’s poems ... is his seriousness ... [and] I am impatient to read more ...” In 1966, Simic went to work as an editorial assistant for the photography magazine, Aperture, a job he held until 1969, the year of his second collection, Somewhere Among Us a Stone Is Taking Notes, also published by Kayak. Diane Wakoski’s review of this book opened with the memorable words: “I have not yet decided whether Charles Simic is America’s greatest living Surrealist poet, a children’s writer, a religious writer, or simple-minded.” In fact, and as the rest of her review made clear, Wakoski was a lot closer to thinking Simic the country’s greatest living Surrealist than to thinking him simple-minded. Simic was just thirty-one, but was already gathering a following. The year after Somewhere Among Us a Stone Is Taking Notes was published, Simic was offered a teaching position in California State College, Hayward, and he remained there until 1973, when he was offered an associate professorship at the University of New Hampshire. He has remained at UNH to this day, though long since promoted to the position of full professor. 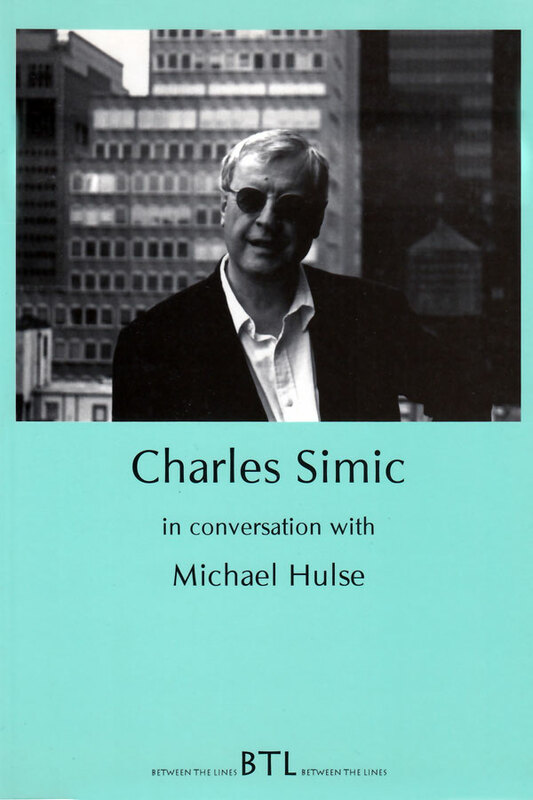 In the thirty-six years since his first collection appeared, Simic has published more than sixty books, amongst them Charon’s Cosmology (1977), which was nominated for a National Book Award, Classic Ballroom Dances (1980), which won the University of Chicago’s Harriet Monroe Award and the Poetry Society of America’s di Castagnola Award, The World Doesn’t End: Prose Poems (1990), which won the Pulitzer Prize for Poetry (a prize for which he had been nominated on two previous occasions, in 1986 and 1987), Walking the Black Cat (1996), which was a finalist for the National Book Award, and Jackstraws (1999), which was nominated a Notable Book of the Year by the New York Times. Simic has also been honoured with two PEN Awards for his distinguished work as a translator (1970, 1980), a Guggenheim Fellowship (1972), two National Endowment for the Arts Fellowships (1974, 1979), the American Academy of Poets’ Edgar Allan Poe Award (1975), the American Academy Award (1976), a Fulbright Fellowship (1982), an Ingram Merrill Fellowship (1983), a MacArthur Fellowship (1984), an Academy of American Poets’ Fellowship (1998), and the University of New Hampshire’s Lindberg Award “for his achievements as both an outstanding scholar and teacher in the College of Liberal Arts” (2002). In 2000, he was appointed a Chancellor of the Academy of American Poets, and a little earlier this year he was also elected a Fellow of the American Academy of Arts and Sciences. Simic and his wife – who have a son and daughter – live in Strafford, New Hampshire.